Viewers know from the get-go about Brendan’s drug problem. After knowing about his impending fatherhood, he decides to turn over a new leaf. Brendan is somehow drawn to fighting wildfires and signs up to be a firefighter. Eric accepts Brendan into his team despite knowing of his drug abuse, molding him into a stronger and better man. It’s later heavily implied that Eric and Amanda were previous drug addicts but kicked the habit after getting together. Subtle but strong themes about humility and teamwork, love and parenthood, addiction and determination are conveyed through conversations, interactions and setbacks. Everyone is flawed in their own ways, but that doesn’t mean we can’t do extraordinary things for a purpose bigger than ourselves. 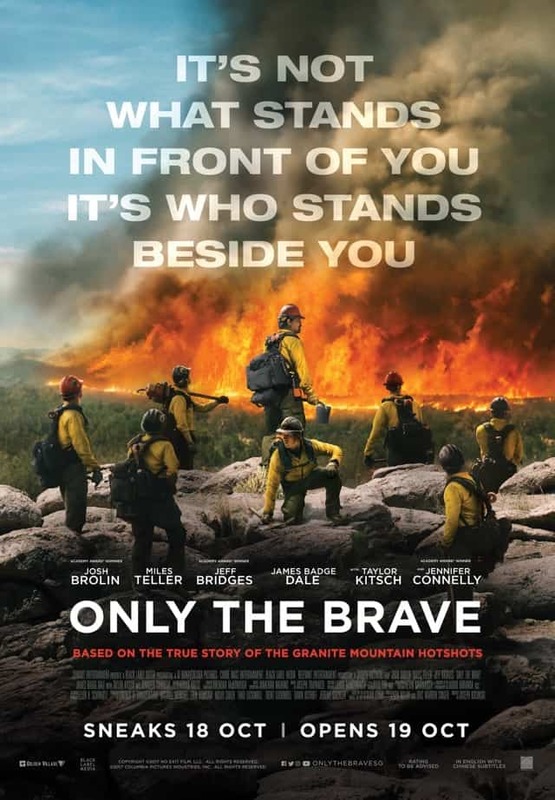 Only The Brave will entertain with witty humor and touch your heart with excellent writing and compelling performances that will leave you tearing at the end.